The Devon Holiday Directory contains links to accommodation, activities, interesting places to visit plus other useful information. If you have a site about about holidays in Devon we will be happy to include a free link to your website in the directory. The entry must contain Name, Title, 25 words of Description along with your website address. If you have a paid colour advert (see below) on the site we will also include a colour photo. 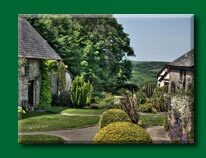 Websites which link back to www.devon-holiday.com will be placed above those who do not. A small advert costs £35 (plus VAT) per year and includes an image (180px wide 150px high) and up to 30 words. Advertisers who link back to www.devon-holiday.com will be placed above those who do not. All advertisers will also be placed higher in the general listings. Email your text and link along with a phone number and we will call you for payment details. If you are send a cheque for an advert please make it out to Kate Price.